Included with this purchase is a download of the Winging It Shawl Pattern! 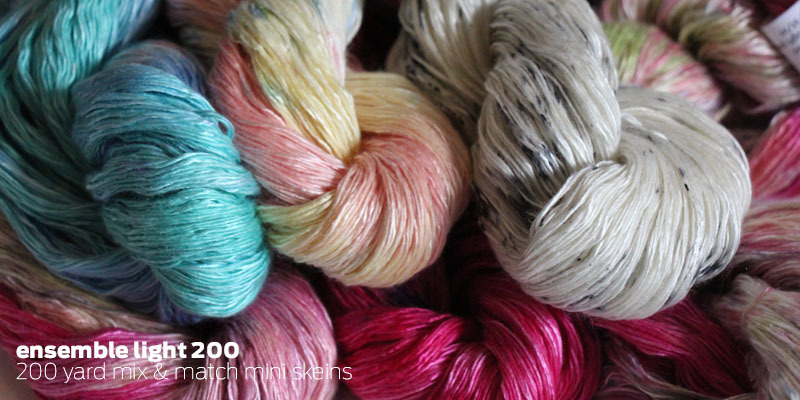 200 yard versions of the same fabulous fiber! The better to mix and match and whoop it up!